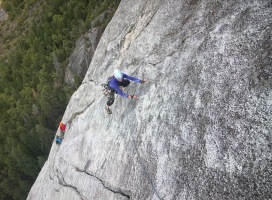 A busy weekend! 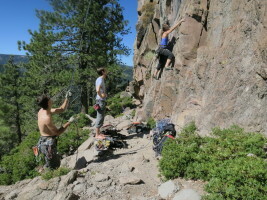 On Saturday we went to Big Chief for the first time with friends and enjoyed a warm (maybe even too warm?) 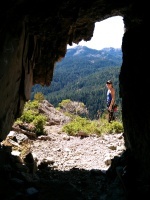 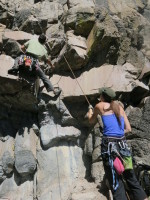 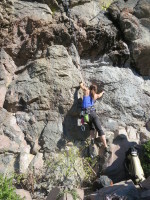 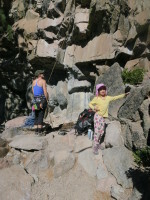 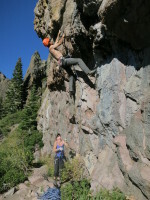 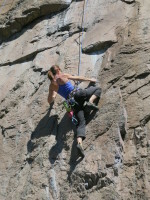 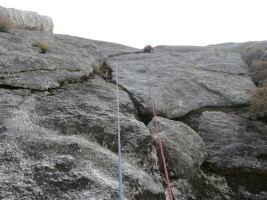 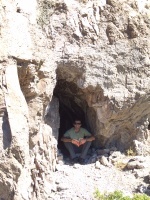 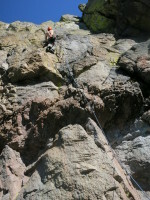 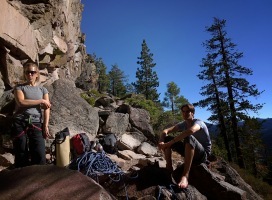 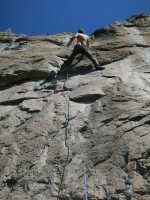 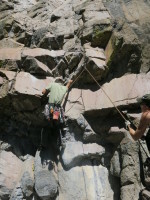 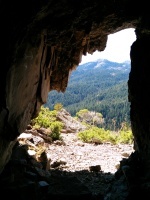 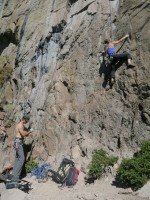 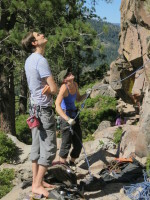 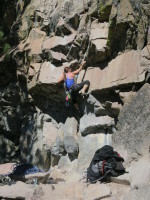 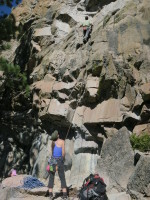 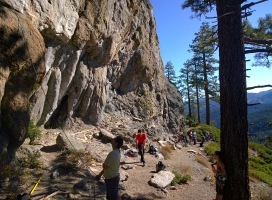 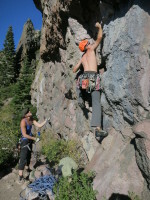 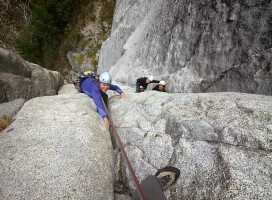 day of cragging - cool spot so close to town! 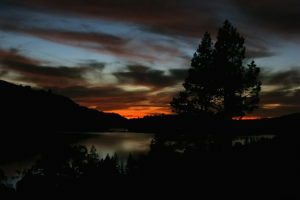 After that we went to watch the Shane McConkey film premier at Squaw, which was a great time. 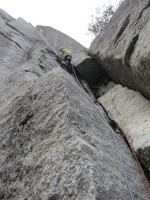 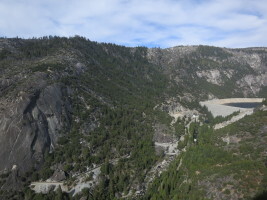 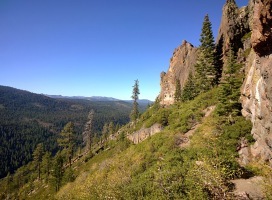 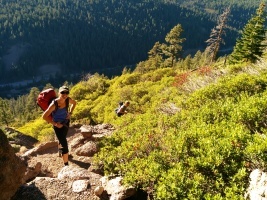 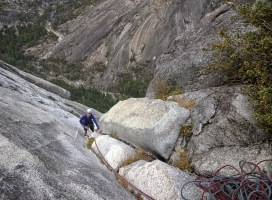 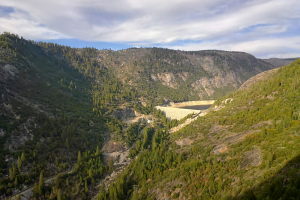 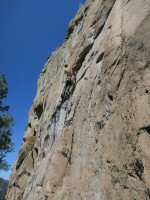 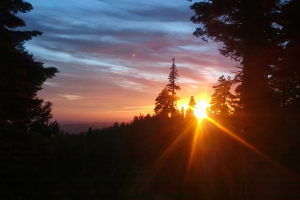 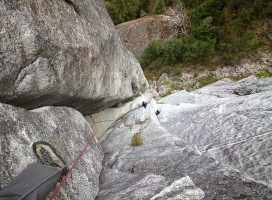 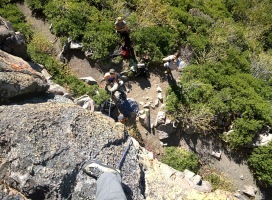 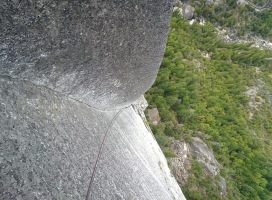 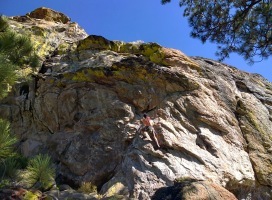 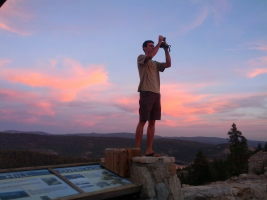 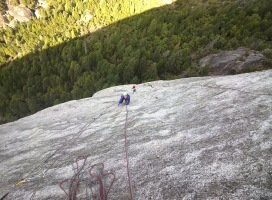 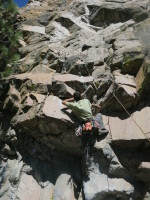 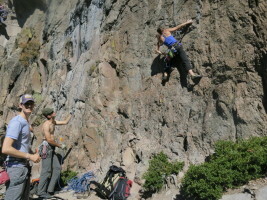 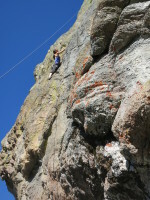 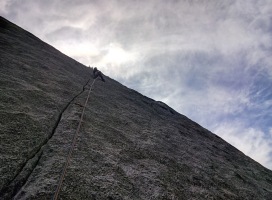 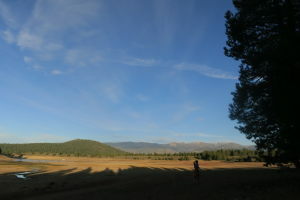 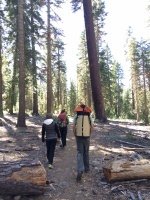 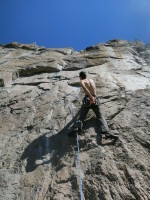 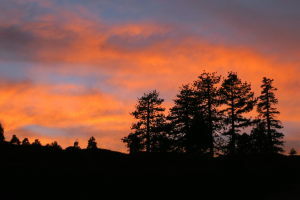 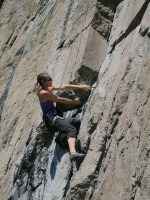 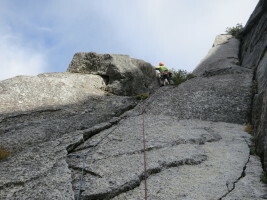 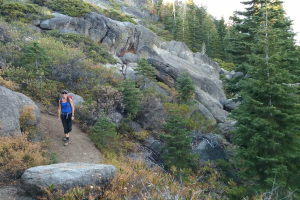 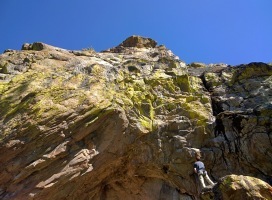 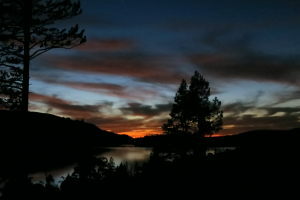 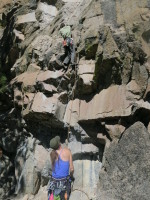 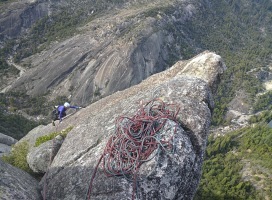 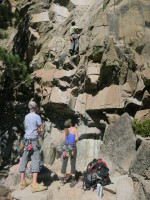 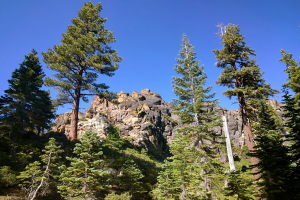 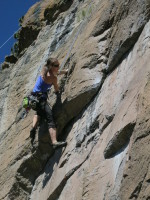 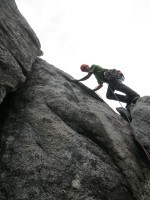 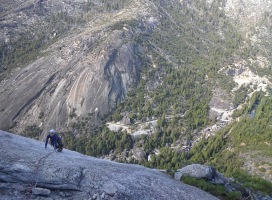 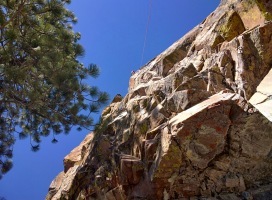 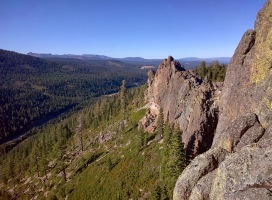 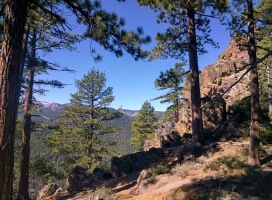 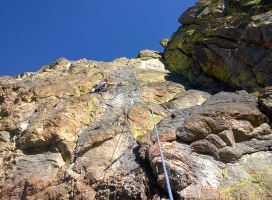 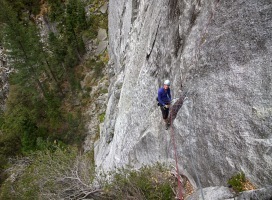 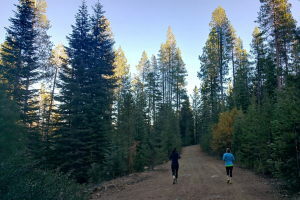 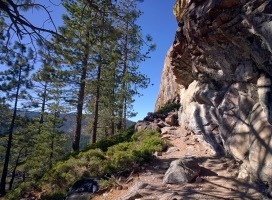 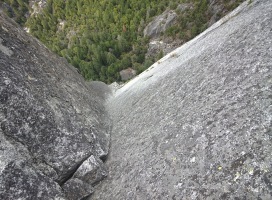 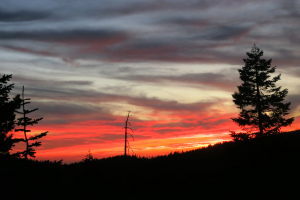 After that, we drove down to Calaveras Dome late into the night, and on Sunday we went climbing there. 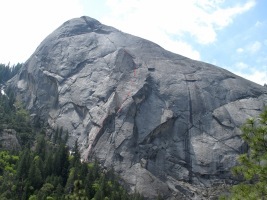 Because of the &#@!# government shutdown, many climbers who got displaced from Yosemite chose to go to Calaveras Dome, which made it quite crowded (usually the place is near-empty!) 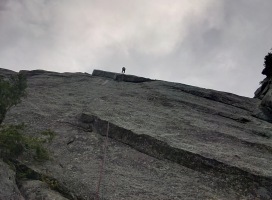 There were multiple parties on the popular routes, moving slowly, and the least crowded was Sands of Time - a party was on the 3rd pitch when we arrived, so we started behind them. 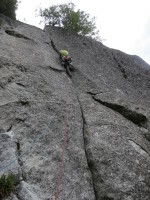 We ended up catching up to them on pitch 4, and ended up having to pass them, but we had a great time (apart from the stress of passing...). 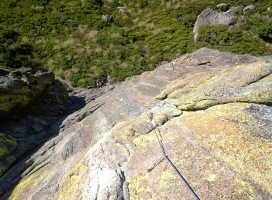 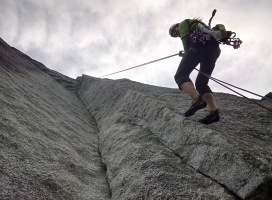 We went to the top of the Tibetan Tower & toproped the crux 5.11 dihedral on Silk Road before rappelling from there. 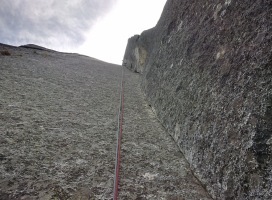 That thing is definitely hard, and the thin ~15-20 foot section would make for an exciting lead (but has a couple of fixed pins). 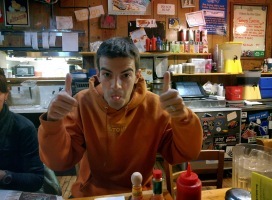 A great day, finished with dinner at Orchid's Thai in South Lake before continuing home! 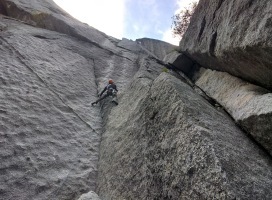 #throughglass from Flamethrower So sweet and long! 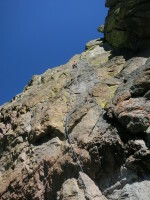 5.9 hand/finger crack on the 3rd pitch of Sands of Time. 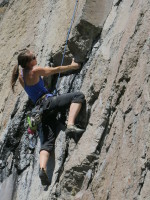 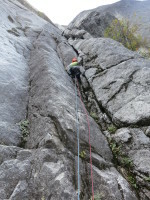 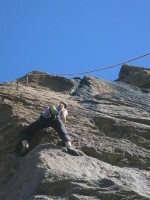 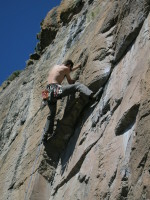 The best climbing on the route!